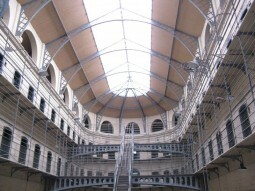 Kilmainham Gaol in Dublin has been at the epicenter of the tumultuous storm of Irish history since it was built in 1796. This place has been woven into the tapestry of Irish history through its role as a holding place for those on the wrong side of multiple conflicts, both with other countries and with Ireland’s own people. It is an infamous place of death and despair. To tell you about the story of this place and about what we learned during our visit there, I will start by telling you about the strand of that tapestry that has to do with the man and woman who were married in the prison on the night of May 3rd, 1916. 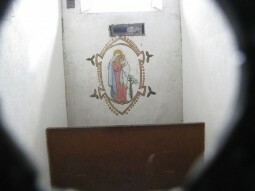 Grace Punkett painted this picture of the Virgin Mary when she was imprisoned in Kilmainham because of her continuing to fight for a free Irish Republic. Joseph Plunkett and Grace Gifford had fallen in love. Grace had converted to Catholicism and were planning to be married in a double wedding near St. Stephens Green with Joseph’s sister and her fiancee. In a letter to Grace, Joseph had said, “I do love you. I hope to become more worthy of loving you. Will you marry me?” Their future appeared bright and certain. Things were looking up. Plans for the Easter Rising of 1916 came up on the horizon, and fate led them down a fork that would take them to the end of their path sooner than either of them could have imagined. Joseph had become involved with the Irish Republican movement, who were fighting to end British rule in Ireland and to establish a free Irish republic. In the early morning hours of Easter, April 24th, 1916, angry Irish citizens fighting for their independence had taken over key points in Dublin. They had set up their headquarters in the General Post Office. Joseph Plunkett had become one of the main organizers of the Easter Rising uprise. He was not in good health on this day, having just undergone a surgery in the previous days, but he joined his brothers in the General Post Office for one last stand against British rule in Ireland. In the end, due to lack of planning and come critical tactical mistakes that were made, those entrenched in the General Post Office were arrested and brought to Kilmainhaim Gaol. 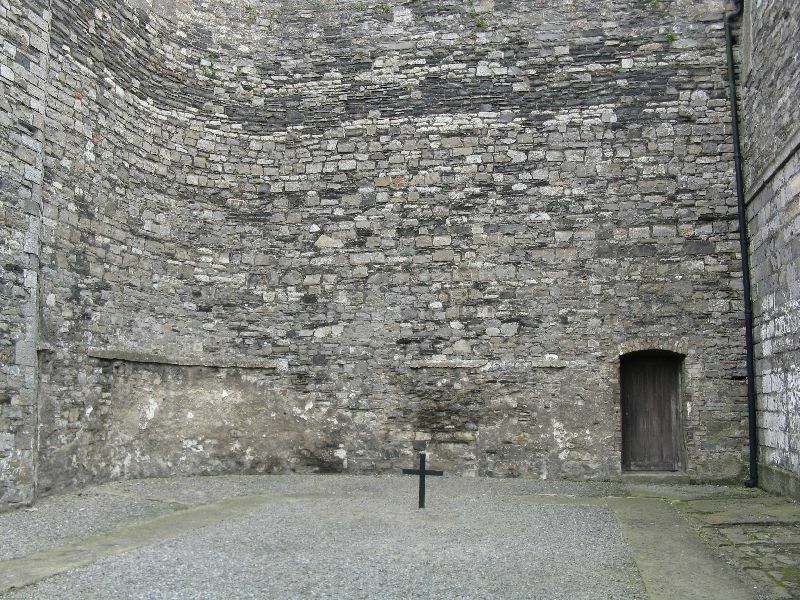 The stone breakers yard where the executions of the Irish revolutionary leaders took place. These executions inspired public anger and pushed the Irish people towards independence. Joseph was sentenced to be executed on May 4th, 1916. Grace was heartbroken, but she went out to buy a ring and a wedding dress. They were married in the prison chapel late at night on the eve of his execution. They were given but a scant 10 minutes together after the ceremony to say all that they needed to say and bid each other goodbye. Joseph was indeed executed the next day. 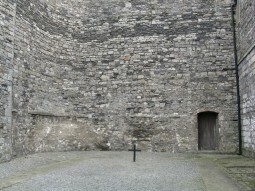 Many others who had participated in the Easter Rising were executed that day and in the following days, in the Stone Breakers yard at the prison. 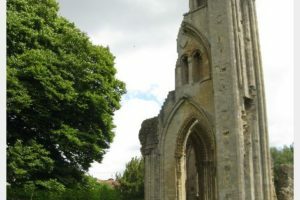 Word of Joseph and Grace’s tragic story (along with word of the other executions) quickly spread through Dublin and their love and its tragic end may have been instrumental in changing the very course of Ireland’s history. Because the story captured peoples hearts, the tide of public support for the revolution started to turn. People who had been ambivalent to it or against it started to change their minds and eventually, most of Ireland did establish a republic, free of British rule. 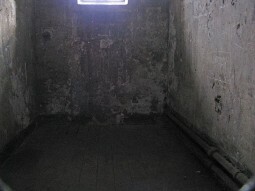 A look inside a cell at Kilmainham Gaol, a historic Victorian jail in Dublin, Ireland. The prison was not heated, and each prisoner received only one blanket and a candle every two weeks to keep warm. It was cold and damp and dark, a depressing place. The oldest part of the prison had no heating system and no glass in the windows. Each prisoner was given a blanket and one candle for heat that needed to last them for two weeks. 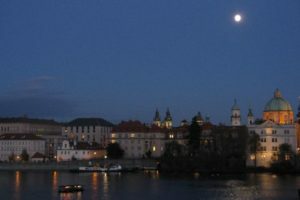 Eventually, gas lamps were installed in this part of the prison that did provide a small amount of light and heat, but they were only run for 2 hours per day. In Ireland’s wet, cool climate, the damp stone prison would have been a torturous place to be in the wintertime. Many people in the prison were there for minor crimes. At one point, 6,000 out of 9,250 prisoners were there because they had been caught begging for food. In addition to men, women and even children were held at the prison. The youngest prisoner had been 5 years old. 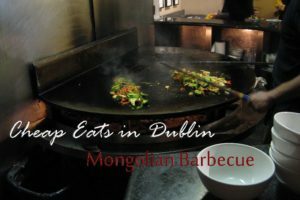 One of the most fascinating places in Dublin. It made my skin crawl. An amazing slice of history. It was super creepy. It reminded me of the same feeling that I got when we were in Normandy France standing in the Nazi bunkers on the coast…what I can only describe as the distant echoes of something horrible happening there. On the tour did they say anything about an 11 month old baby being there with her mother, I was wondering if they baby made it out alive? I think I remember hearing that, too. Didn’t hear (or don’t remember) whether the baby came out ok or not. Such a horrible place but an important place at the center of Irish history.